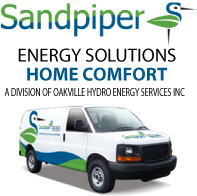 We are a local HVAC company that provides services to homeowners in and around the Greater Toronto Area. The past HVAC market in Toronto and Southern Ontario has been rife with fraud and get rich quick schemes that have left many home owners out in the cold. We aim to prove our fundamental difference and show you how a true caring company can actually inspire change. You have to start somewhere and that is just what we are doing. Our mandate it to embrace new technologies within the home as well as with our services and our business. Along with conventional contact methods like the good ol’ phone, feel free to send us a tweet, email, or Facebook message if you have any questions, issues, or concerns. We all have different backgrounds and skills but fundamentally we all have the same vision. Initially we started with a simple website discussing the benefits and integration of renewable energy in small residential homes throughout Southern Ontario. This site expanded and we noticed a large niche group of visitors interested in tankless water heaters. We then developed a web site discussing pros and cons of tankless systems helping home owners decide if a tankless is the right system for them. From there we established a business selling and installing tankless water heaters. Our customers enjoyed our work and attitude and many asked us if we could maintain other heating and cooling equipment. We never advertised our full service offering and simply used word of mouth. As time progressed we merged into new areas and now have many established furnace and heating services available to our customers. This site offers access to quick information of the needs our customers may require.